After 21 cloudy nights we finally got a beautiful sky last night in Northwest Alabama! I was anxious to try out the Meade focal reducer that had been setting on the scope for 2 weeks. I had heard both positive and negative comments about it but I must say, I am very pleased with it the first time out. 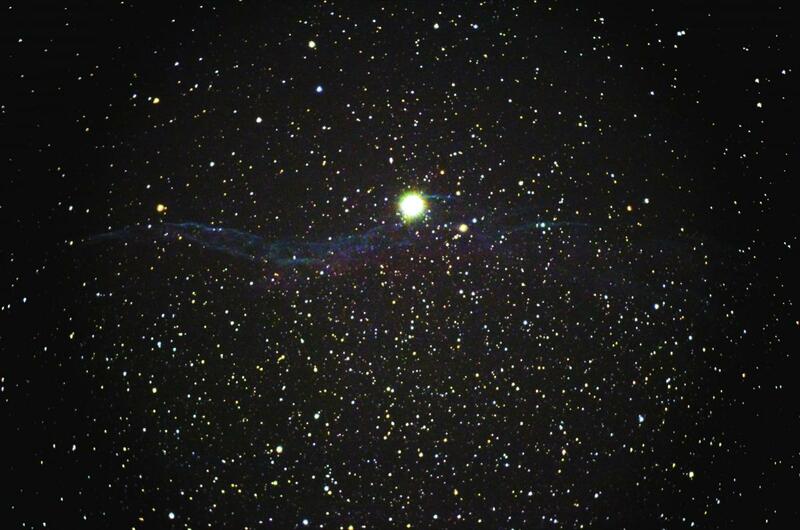 Here's a shot of 52 Cygnus, the Western Veil. It's only 7 shots stacked at 30 seconds each. Looks pretty good to me. I like that scene. Looks artistic! I have been having thoughts about putting my f/6.3 focal reducer on my f/12 LX 70 Mak, just for kicks, to see what that looks like. 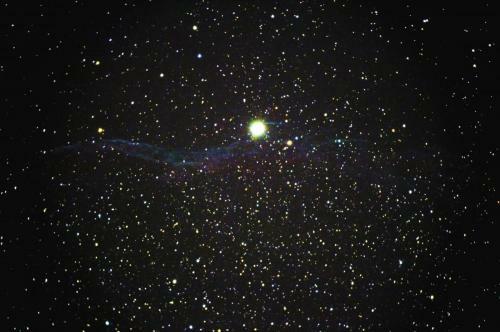 Would not be f/6.3, but it should give a wider view of some sort. Great picture Steve and I agree with Bill,very artistic. BIll if you put a reducer on you LX 70 will you be able to focus it? I won't know till I try.